With Halloween right around the corner what better place to spend this spookiest of holidays but at one of Halloween’s most recognizable destinations in the world, Sleepy Hollow, New York. Originally known as North Tarrytown and made famous by the Washington Irving story “The Legend of Sleepy Hollow”, the town officially changed it’s name to Sleepy Hollow in 1996 to honor the famous story of the Headless Horseman that chased people through the town donning a Jack-O-Lantern head and scaring the bejeebers out of all the timid townsfolk. Sleepy Hollow’s history makes it a popular destination for Travelopers all over the world, and the town offers plenty of ghoulie and ghostly fun for the holiday. The Great Jack O'Lantern Blaze which is the area’s biggest Halloween event, with over 4,000 creatively hand carved pumpkins that are set against the spooky backdrop of the 18th century buildings of Van Cortlandt Manor. 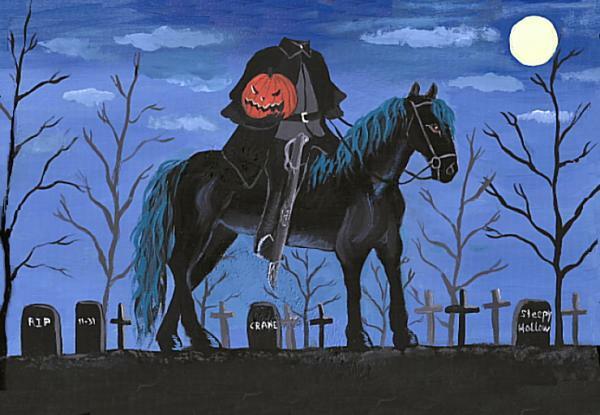 Horseman’s Hollow is the premier attraction of Sleepy Hollow which takes “The Legend of Sleepy Hollow” to the extreme. 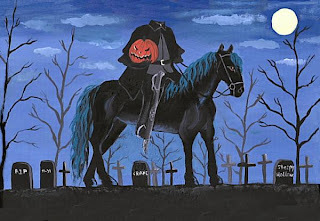 The Historic Philipsburg Manor transforms itself into a live telling of the famous tale with ghost, ghouls, and witches and of course the town’s most famous celebrity, himself The Headless Horseman. Washington Irving landmarks are a huge attraction and there are several of them. Even though its been 150 years since his death changed the small farming community into a busy modern suburb, there are several landmarks that are closely associated with the author. One of the most popular Irving landmarks is the Sleepy Hollow Cemetery where the author is laid to rest and which is also the cemetery identified in “The Legend of Sleepy Hollow”. There are a bunch of festive things to see and do during October in the lovely and famous little town of Sleepy Hollow, New York, specifically during the Halloween holiday the town goes all out to welcome visitors. Travelope offers several travel packages and separate deals to get you there and make your stay a memorable experience.